Wow! What a reaction…dozens of conversations and observations and some truly enlightening contributions full of fact and analysis. This is the place to be, I think. Even with all the assortment of emphasis and approach, it is clear we are all agreed that we are not being well served by BBC Scotland. That’s putting it mildly. I know some responders are suggesting I am defending the BBC against claims of bias. I am not. I said at the outset that there was a general thrust in news and current affairs which doesn’t challenge enough and is too happy to accept a script which has Made in Britain stamped on it. I did try to move critics away from the idea that there is an organised conspiracy to stop independence. There isn’t. There are individuals who I agree sound as if they have a Unionist mindset and there is weak or poor journalism, mostly the result of ineffective leadership and remorseless budget pruning. In a way, as some of you point out, it matters not. What does matter is the perception of the BBC’s coverage and it is undoubtedly clear that a large number of Scots have lost faith and trust in the BBC. The corporation’s own polling shows us that and I think it is getting worse as this campaign goes on and will leave a residue of resentment afterwards. This is deeply worrying for the BBC. Put it this way, there is in reality no such thing as complete impartiality. It is an aspiration and the BBC’s declared intention is to create a public perception of impartiality. That’s why for example they reprimanded Kirsty Wark for holidaying with McConnell. Of itself it means nothing but the perception has been damaging. The BBC is failing on the public perception front…which is one reason why they are appointing a parliamentary adviser. 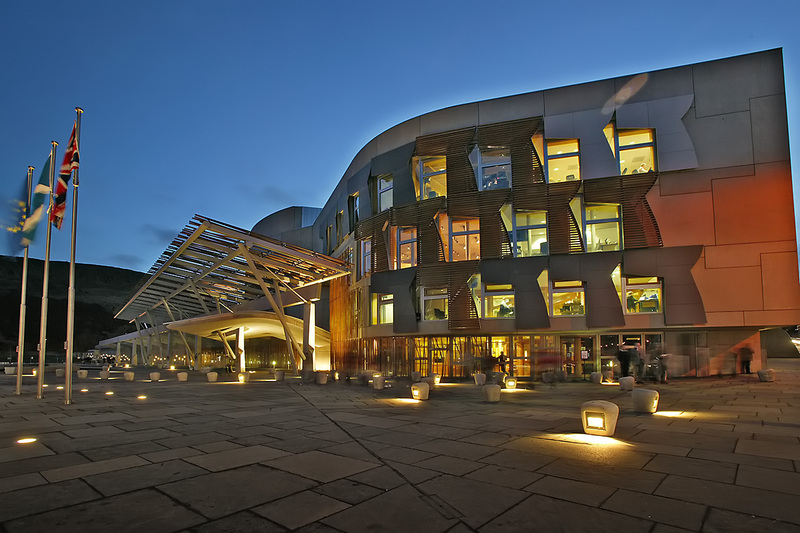 This is the week when the management are asked at Holyrood about Professor Robertson’s report on Fairness in the First Year and I would like to see MSPs urging him to carry on his research throughout the year, asking the BBC to extend full access to the news decision-making process to him and promising they will return to review this matter after September. In other words the BBC should submit to a comprehensive external analysis of its output and approach so the public can see after September how it performed and if it met its obligations under the Royal Charter. This can’t be left to the BBC itself as it has proved itself pretty inept at defending its record so far. The research should extend beyond early evening news to encompass all broadcast news on radio and television, excluding perhaps online as that would mushroom the work to overwhelming levels. It can use Professor Robertson’s template for judging bias and apply it to interviews and programme treatments so see if one side is favoured over another as in last week’s Danny Alexander episode. The BBC should fund the work as an act of faith in itself to demonstrate its belief of impartiality and as a sign that it is genuinely committed to allaying public concerns about its role in this campaign. If it did so, it would provide the organisation with something of a PR coup to undo the bad impression given by its truculent and unworthy response to Professor Robertson’s work. It might be an idea to send such a plan to your MSP or any member of the Culture and Sport committee chaired by Stewart Maxwell who is probably sick of me by now. By giving him access to speak to the decision-makers in the news department and allowing them to justify their decisions, they would allow him to make more precise and detailed analysis which is one of the criticisms they made of his work. It would also oblige everyone in the BBC to think very clearly why judgements were being made if they had to be accounted for – which is really management’s job but which doesn’t happen. What do you think? In case this is of interest. I have attempted repeatedly to ascertain who the BBC employed as an expert to produce their criticism of Professor Robertson’ paper. I should have expected an academic of acknowledged expertise to have been asked to report but thus far I have been told that the people employed were ” senior editorial staff and those with daily responsibility for assessing programme output in terms of its proper adherence to the BBC’s Editorial Guidelines. ” This is not good enough and their critique might have been of substance had they asked a recognised expert to analyse Professor Robertson’s report. The applicants should be warned that they will be the fall guys/gals after the referendum, regardless of the result. I don’t really give a monkey’s any more. I have better things to do than pursue a campaign for fairness at the BBC, at this stage of the referendum debate. They will undoubtedly bat it all away until after September, and simply hope to avoid too much flak after that. If it’s a No vote, they’ll be insulated from criticism by the winning side anyway. Morag, I was posting more or less the same thing as you were doing it. Enough about the BBC. Just keep on talking to people. Got it in one, Morag. We have to challenge the BBC. For many people this is their only source of information they trust. I agree with Derek, there is no conspiracy or organised bias. This would require too much organising and control. The problem is that there are just too many lazy journalists who will read out any press release stuck in front of them, and interviewers who don’t prepare, don’t listen and don’t challenge. At this very moment, flocks (?) of pigs are flying over Pacific Quay, looking for a safe landing! I’d want a report before the referendum date, not after. But I’ll never trust them again with political output. Does anybody know who is actually on the Committee? The bloody Parliament website makes it hard to tell! Not for the first time I think the SP website is not user friendly. A bit busy. Deputy Convener Neil Findlay (LAB) ( honest! It won’t work. I simply don’t agree with you that there isn’t a whip running through management and thereby culture to defeat independence. The radio and television are unlistenable and unwatchable. They really are that bad. It’s clear there are too many senior journos who would rather win a NO vote than have any professionalism. I’ve given up any hope of having a fair hearing for independence in any of the media, with the exception of the Sunday Herald. They are all rampant NO-mongers. The only way for us to get heard is on the doorstep, canvassing, challenging the years of daily egregious lies in all the media. There seem to be people at the BBC who are perfectly willing to be a lightning rod for hate as long as they win their bid to secure austerity and their blessed flag. The BBC is the British Broadcasting Corporation ! They are British ! They are pro British ! Their coverage of the Independence debate is British ! I no longer listen to the Lord Haw Haws at the BBC . I will not be renewing my BBC license fee regardless of the outcome of the referendum.I am profoundly deaf and when I asked my audiological scientist why the subtitles on BBC Reporting Scotland were so bad she shrugged and said ” Quite simply poor and lazy diction”. Channel 4 News subtitles are far and away ahead of La Bird and Magnusson et all. Sorry Derek but as far as I am concerned BBC audio, even with the aid of the latest cochlear implant, is a very very substandard. Even Tony Robinson beats them all for diction and clarity. I rarely watch any programs on the BBC now. Admittedly it’s on and there in the background while I get on with other business. I do however listen to BBC Scotland radio on the way to work and on the way home. I do this now just for laughs, i look forward each morning to hearing the spin of the latest scare story. The media are important to an extent, but I believe they have overplayed their hand and are now seen as an irrelevance by more and more ordinary people. How many times do we have to listen to exactly the same scare story being repeated again and again before you switch off? Poor Peter got a hard time for crying wolf 3 times, the BBC are guilty of endlessly crying wolf. It wasn’t Peter who cried wolf. Peter’s adventures with the wolf were very different and entirely more interesting. Good points here Derek, however I don’t agree with various others that we should just ignore the BBC. post 18/9/14, the same people, well most of them, will still be employed at the SBC / BBC. With regards to the BBC paying for the study, what area would you recommend in cutting or is that too much of a leading question? Ah the corporate waste of egotistical red eye flights and my lunch was bigger than yours. Doesn’t take much imagination to spend money unwisely. I listen R4 and even they headline a negative story to indy on the hour every hour but never a positive one so it is an institutional issue for the whole corporation not just Scotland alone. I fail to understand just why the BBC seem so affronted by the suggestion that they are Bias, it is in denial at best ,complicit at worst. I have complained several times, but just get back a bog standard denial. As for their “charter”, it has been breached so many times they may as well not have one. What they put out is Westminster propaganda, this means that they work against the very thought of Scottish Independence. I remember watching a BBC report from Moscow at the last Putin “election”, the BBC reporter was saying that Putin controlled all the Media, He said that what was going on was an election, but it is hardly democratic! Something that sticks in my throat that they are using the same tactics to destroy the democratic intention of Scots, in the very same way. Sorry, but their Bias is there every day to see and hear. I cannot wait to be rid of their shameful poison. Biased, not bias. That’s like saying “I am tire” instead of “I am tired”. Have you nothing better to do with your time than pull People up for a ‘Typo?’ Away and work!!! I always deeply appreciate Derek’s postings and I am convinced of his sincerity. I am slightly more cynical about whether BBC Scotland’s output in terms of bias is structured deliberately or if it is as Derek says. It really is very difficult indeed (for me) to avoid the idea that the BBC is somehow structurally biased. If it is as Derek says then it is bad enough. It doesn’t matter if the current affairs broadly is slightly more balanced – late evening, radio scotland. It’s the 6.30 evening programme that is the main problem. It’s supposed to be the national news, it doesn’t have a remit for in depth analysis of the type in other more specialised programmes with mostly politics content. But I imagine that it is the one that most citizens have contact with. I know also of problems at GMS, especially recently. Bias can come outside of the parameters designed for measuring it in Prof Robertson’s report too. Tone of voice, attitude, demeanour. Intangibles and difficult to measure – people sense this and think they are being taken for fools. And to be honest, despite a lot of the good stuff at BBC Scotland, they are probably right to think this. Les, Goebbels thought that the British Civil Service was the gold standard in propaganda, since few if any people realised it was propaganda. Sound familiar? Pacific Quay should be demolished brick by brick, transported and dumped over the border. Scotland cleansed of the BBC will be a better place. We do know that during the miners’ strike the BBC doctored newsreel to make it look as if a charge by mounted police was actually a charge of the miners against the police. This justified a lot of vilification of the miners. You don’t doctor film unconsciously. Is it not the case that the BBC no longer employs it’s own researchers but buys in news from Associated Press? That might explain a tendency to passively spout the scare of the day reading from a crib sheet, but not the tendency to aggressively interrupt any YES interviewee. Has anyone else perceived a slightly more balanced view this last fortnight? Perhaps the criticism has had an effect. I noticed that they are no longer giving airtime per party label ie 3 to 1 but appear to be using one view from each side, or have I not watched enough? I’d like to accept what you say about the BBC Derek. However, if you are right, then their lack of questioning amounts to an almost criminal disregard for our strongly felt views, and what does the lack of will to address the problem tell us? That there are people at BBC Scotland content that things stay as they are? (e.g. bias). While we may not fully agree on this point, please keep doing what you are doing. You are the best. Cheers. I like to give support to the current team on Good Morning Scotland on Saturday mornings. I believe it is Bill Whiteford and Isabel Fraser. The program is always excellent, the content balanced and in depth with a great deal of analysis of the indyref issues by academics and others. They even had Peter Curran – Moridura – discussing negotiation tactics last week with Murdo Fraser. This is the high standard BBC Scotland should be aiming for. If I saw this happening I might believe there was hope for BBC Scotland. It just isn’t going to happen. The management at BBC Scotland knows full well what it is doing. They are fighting for Britain and their careers. In this fight the Marquis of Queensbury rules do not apply. Anything goes. MacQuarrie, Boothman, Small and the invisible Maxwell all fully understand this. They have the full backing of Lord Patton and the BBC Trust. He, in turn, has the full backing of Westminster. This is not a game. This is the end of the british empire, and they know it. We should care about the BBC and try to change it. It is not as high a priority right now as the Referendum, I agree, but news communications are an important part of democracy. The BBC or successor SBC with a public service ethos can be valuable but there needs to be more responsiveness to the public and more transparency in editorial decision making. There also frankly needs to be a huge improvement in quality. A hugely valuable side effect of the referendum process is the emergence of an online community of diverse opinions that nonetheless sees itself capable of joint decision-making and action – most obvious recently in Wings over Scotland which has commissioned opinion polls and is now capable of raising significant amount of money in a short time for political projects. Is this the very very beginning of a new form of participative democracy? What if instead of just donating money to WoS we could be participating in government decision-making? Say I was able to divert a portion of my tax receipts each year to specific spending proposals for government, generated in public online forums? Say I was able to vote on options for spending on public programming, funding for particular researchers, journalists and other broadcasters? In the meantime, a small wedge has been shoved under the BBC door. I agree with Derek, they should fling the door open, welcome public scrutiny and embrace change, but I think some more hammering at the wedge is necessary, up to and probably beyond September 18. RS “Headlines” much improved this morning. At least the words “yes” and “independence” were uttered without a joke or a hiss! its becoming a them and us situation, blindingly obvious bias by bbc scotland, run from london. Now that some Tory minister is proposing that the non payment of the licence fee (AKA the propaganda tax) is de criminalised, if this happens do you think that it would be the death knell for the BBC. My estimate would be that as much as 50% in Scotland would no longer pay. P.S. The Scottish government should have done this in Scotland in 2007. Glen Campbell ripping up the SNP manifesto live on TV showed just how neutral and unbiased they were going to be about an SNP government. I thought it wasn’t a criminal offence here either – only in England. Not that that stops them issuing nasty threats if you’re late paying. I note the BBC opposed the move saying it would impact on their revenue. What other business needs non-payment of its fees to be made a criminal offence in order to keep its revenue stream going, I ask you? I am not entirely sure but I was always under the impression that non payment of the licence fee was a criminal offence UK wide. Every effort should be made to encourage BBC Scotland to commit to independent analysis. It is clear that the quality of output also needs to improve. That alone would actually help address the issues surrounding impartiality. A failure to agree would leave BBC Scotland self convicted of bias and running scared of a process that would actually help with viewing/listening figures. Ratings count. The Yes campaign, SNP and other Yes parties and groups need to work with the BBC to get their message out. No matter how effective the grass root and online campaigns are that still leaves many that we can only reach through the broadcast media. We are up against the power forces of the British state. Whilst that includes a state broadcaster answerable to Westminster – they also need to deal with declining audience figures as the people of Scotland switch off. BBC Scotland has a unique opportunity to do really important work probing, questioning and fairly presenting the core issues that people do want to hear about. RussellBruce , I agree with you but instead of your last bit ( “issues that people do want to hear about” ) I would say ‘issues that people want to talk about . Not in a stage managed BBC style debate but let ‘ordinary people be seen and heard to talk to each other’ , they usually are far more interesting . Just listened to Ming Campbell being subjected to the kind of treatment all YES supporters have grown to expect. Poor old Ming couldn’t cope. Complained bitterly to Gary Robertson. Learning curve for the old boy! Yes, Ming came across as a patronising out-of-date duffer. It’ll be another 100 years of LibDem non-delivery if we listen to him and his ilk and he made that perfectly clear. Gary Robertson was not particularly aggressive either, he just actually challenged what Ming said and did not let him filibuster – unlike Hayley with Danny Alexander last week. Gavin Lessells (the guy behind the ‘Aye Right’ leaflet) said yesterday on Wings that he had taken in orders of 280,000 for the new edition of Aye Right – which lists several more pro-indy sites. It looks as though Yes groups consider it the weapon of choice for outflanking the MSM. As G P Walrus says above, there’s the framework of a participative democracy being built online – to which the BBC appears blind (the disallowing of comment seems to me to be straightforward refusal to partake). Either the BBC doesn’t care or else it dismisses it as irrelevant. That’s a mistake. The old model of ‘let’s interview politician A and then politician B’ is looking mighty jaded – especially where the politicians have nothing new to say. The contrast with what is going on online and at meetings and debates across the country could hardly be starker. Where Scottish politics are concerned, the BBC is in real danger of losing its audience. Despite the strong feeling that it serves no point to ‘engage’ with the BBC,it is important that questions should be put to them. Then they can’t say we didn’t know and nobody asked us. If Pro Robertson hadn’t decided to study the BBC output there wouldn’t be the statistical data a to use. So the questions are important, and it gives the Parliamentary Committee questions the backing of public concern, rather than ‘its just the SNP’. The unrelenting SNP focus goes on, also in the newspapers. Even the Herald had a article about the nuclear leak at Dounreay, which carried a headline, “SEPA blamed for SNP not being aware of radiation leak”. Rather than the Scottish Government or the Scottish public. If looked at logically it suggested the Conservative and Labour Parties had been informed! Incidentally, Scottish CND showed a graph of a huge spike in radiation readings after the leak, though Phil Hammond said there was no measurable discharge. So questions with a public backing are important to get round the SNP focus in all issues. I would like to know why BBC Scotland has started giving such a lot of coverage to UKIP, nearly half of the Scottish segment of Sunday Politics Scotland was given to discussing them. I know they have won the right to covered by TV, but in Scotland they have little presence and are a diversion to the real issues. Why would the editors decide to give them more than a brief mention? I gave up on the BBC a LONG time ago; articles online are the only time I come across them. the general populace as being biased I could not do a better job than the BBC. omission) is purely because of poor funding or sub-standard journalism. would mean some Pro-YES headlines coming out now and again? my trust and there is nothing, I doubt, they could do to win it back. Lunchtime today Monday BBC Scottish (sic) News managed to cover both Gordon Brown and Sir Ming Campbell.s contributions to the referendum debate and yet omit the very effective riposte of the Deputy First Minister That it was a pity that Brown had not had the opportunity to propose game changing proposals in all his years of government. I have given up on posting formal complaints as they raise nothing other than anodyne responses and appear to have no effect on the relentless propaganda. Circulation of the invaluable AYE RIGHT leaflet from Gavin Lessells and Bob Allan seems to be the only way to go. So can we move on from the argument about what’s causing the bias as we all agree that it exists and we’ll never get to the bottom of it as you can be sure there’s nothing written down. We need to work out is what to do about it, and if it can’t be fixed, how it can be countered. Thank you for your reply to my question, on a Previous Blog, as to whether you knew of anyone in the BBC Politics Dept. who was sympathetic to the cause of Independence. ‘Yes I do.’ was hardly fulsome, but, of course I do not doubt your word. Searching through the replies posted here, however, I can find no comment that supports your theory that that there is no active and ongoing subversion of Democracy in the BBC. BBC ‘Scotland’ is like all ‘Branch Office’s’ of any large Organization, they reflect and pursue the agenda laid down by ‘Head Office,’ and anyone with half an eye can see that this actively follows the United Kingdom Government’s position on Scottish Independence, to a positively Barking Degree! To propose a Commission, of some sort, to report on BBC ‘Scotland’s’ coverage of the Independence Campaign, AFTER September, is to fly in the face of all Logic! I say again, it is positively BARKING!!! Well Charles, did you expect a list of names and their voting intentions? come to that, I’ve never heard anyone at BBC Scotland say they vote Labour, Tory or LibDem. Who cares? What has your vote to do with your job? Look at all those Twitter accounts from people saying their views are their own – not related to their work. Most people differentiate between their politics and their job. Other posts on this site don’t back me up because they don’t have recent experience inside the BBC. It is on personal experience that I base my argument which as far as I can see nobody else on the site has and am happy to stand against the whole world if necessary when I think I’m right. I agree with you and have said ad nauseum that there is a British issue at the BBC and very munch a branch office mentality. How many times? I don’t propose a commission. I propose that John Robertson at UWS carries on a more detailed examination so that win or lose the referendum we can all see how the BBC spent our money and if they did their job and if not, how badly and judge them accordingly. It would provide irrefutable evidence on which to base future action over the BBC which will still be here after September. Thanks. this statement was covered at 9.00am 10.00am 11.00am …….then 6.00pm. During Peak listenning slots of 12.00 noon to 1.00pm and 5.00pm to 6.00pm Ratcliffe’s statement had no coverage. BUT it hadn’t been forgotten the story resurfaced in the 6.00PM bulletin. The Standardlife threat was given full coverage repeated several times during peak slots. Just one example Derrek and it happened today. It happens every day. It no longer matters whether there is a Unionist conspiracy in BBC Scotland, or if lazy reporting is at the root of the daily errors that happen to favour the Unionist cause. What matters is that everyone acknowledges that the BBC daily errs on the side of the Union. This is damaging the YES argument. John Robertson’s report found this to be the case. This message must be got out to all voters. Saw this and thought of you: http://www.heraldscotland.com/politics/referendum-news/msps-to-hear-case-that-tv-coverage-of-indyref-has-been-biased-against-yes-c.1394522339. Thought you were great in Stirling BTW! @Fatcandy be interesting to see if this is covered in the print edition. Often The Herald and Scotsman restrict coverage that might favour the YES side to their websites.